Last week at the annual Intel Ireland Research Conference held in Dublin Intel presented a special award to Semi Consulting founder Bas van Nooten for his efforts and leadership of the European Equipment and Materials 450mm Initiative (EEMI450) and associated European collaborative research projects. The purpose of EEMI450 was to bring European Equipment and Materials manufacturers together, along with Europe’s research institutes, in order to work collaboratively and provide 450mm product offerings to the semiconductor industry. Through his knowledge of the industry, and networking capabilities, Bas van Nooten has grown the EEMI450 membership to over 50 organisations, and has had a major influence with the European Commission in driving appropriate European Collaborative projects involving the EEMI450 membership through to funding and eventually to successful completion. This special award is in recognition of his efforts in Europe to bring about a strong sense of collaboration, delivering early results in order to make the next silicon wafer size transition both effective and efficient for all involved. 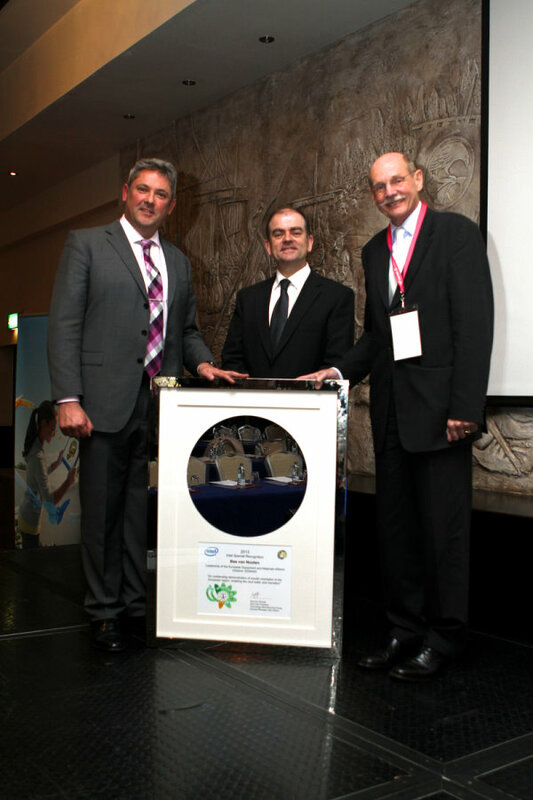 The award presentation was made to Mr. Van Nooten by Intel Ireland Research and New Business Director Leonard Hobbs and European Silicon and Nanotechnology Research Programme and Project Manager Bernie Capraro.